Barbara Joan Pickering Blevins, 70, 606 Pardee Street, Johnson City, passed away Thursday, November 5, 2009 in the Johnson City Medical Center. Ms. Blevins was a lifelong resident of Johnson City. She was the daughter of the late John and Olive Stout Pickering. In addition to her parents one daughter, Ruby Blevins, also preceded her in death. She was a member of the King Springs Baptist Church. Survivors include: two sons, James Ellis and his wife Marsha of Johnson City and Robert Blevins of Johnson City; four daughters, Tommie Sue Metcalf and her husband Timothy of Johnson City, Lisa Dawn Barnett and her husband Jeffery of Jonesborough, Michelle Tolley of Johnson City and Amy Brown and her husband Phillip of Mooresburg, TN; one brother, Glenn Pickering and his wife Judy of Jonesborough; three sisters, Tonya Barnett and her husband Donald of Telford, Dolores Williams and her husband Lloyd of Bluff City and Julia Patricia Taylor of Elizabethton; several grandchildren and great grandchildren. On November 5, 2009, our Heavenly Father came to give an angel her wings to fly home. She was the greatest blessing anyone could ever ask for. She spent her entire life devoted to raising her children and helping others. She knew no such thing as a stranger. She was a wonderful mother, grandmother, sister, and friend. We will miss you each and every day until we meet again. We hold you close in our hearts. We know that you will continue watching over us. May peace and happiness be yours now. The funeral service for Ms. Blevins will be conducted at 2 PM Saturday, November 7, 2009 in the Morris-Baker South Chapel. Rev. Bob Edmonds will officiate. The graveside committal service will follow in the Monte Vista Memorial Park. Active pallbearers will be selected from family and friends. The family will receive friends from 12 to 2 PM prior to the service. Barb you will be missed dearly. Watch over everyone, they will need that. And tho you won’t be here in body we know you will be here in spirit. Goodbye my friend, I love you. Your mom was a wonderful person and we are greatful that we had the opportunity to know her. Although we are unable to be there, our thoughts and prayers are with each of the family. Mom you were our world, our strength, our shelter, and the only love of a parent that we knew. We know that you are at peace and will be rewarded for all the sacrifices that you made. We didn’t miss out on anything from not having a father, you done more than enough to cover for that. Please continue watching over us, I know that you will always be there. We are looking forward to having you be with us at Brittany’s wedding. All our children and grandchildren received the same love from you that we did. I’m looking forward when my time is done to be with you and the Lord! Be happy now Mom as we are for you. Love always Lisa! We were deeply saddened to hear about your mother and sister. 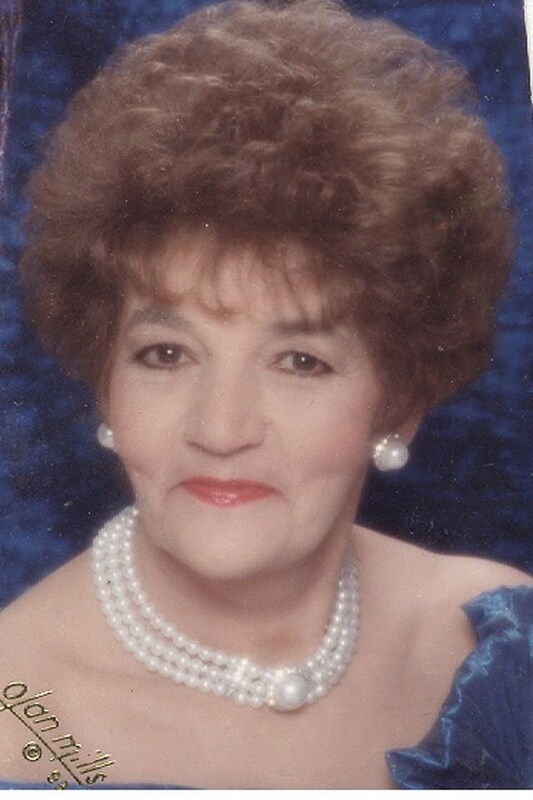 My mother, Linda just found out today about her passing and was so sorry she couldn’t attend the service. Barbara truly was a good ,caring mother, grandmother and friend. I know she will be missed. Wow, I have been blessed! I had the BEST grandma anyone could ever ask for. I have made so many wonderful memories with her throughout the years from our evening walks, baking chocolate cakes with sour cream icing, racing to finish word puzzles, and eating her delicious biscuits and gravy. I will always cherish these memories. Mamaw helped make me the woman I am today. I strive to be more like her. She loved and cared for everyone. I pray that God will give me the strength that she had. The pain hurts really bad right now, but mamaw is no longer hurting. I would much rather deal with this pain than have her suffering. She will always be in my heart and I know that I will see her again. I refuse to say goodbye but instead I love you and I will see you later mamaw! Wow, it is so hard to believe that at 1:00 am tomorrow it will 5 months since you left us. I think about you each and every day. There are times when I pick up the phone to call and tell you the good news, then I remember that I can’t. The holidays are really hard with you not here. I have so many wonderful memories with you and I am so thankful for that. I hope you have a wonderful Easter celebration in Heaven. I love you and I will see you again someday! Until then, I hope that you will be with me in spirit and help me carry on. I can’t believe it has been 2 years since you went to Heaven. This day each year will always be really hard for the family. The pain hasn’t really eased any. I miss you more than you will ever know. I would love for you to be here rocking Taylor in your white rocker on the porch. She would love you so much! I have so many great memories with you, but I wanted to make more. I wanted you to be there when Taylor was born and for her first Christmas and birthday. I know that is just me being selfish. I am happy that you are no longer hurting or bothered by the burdens of this world, but it doesn’t make it easier. I wish I would have gotten your phone call earlier that night, maybe things would be different. Now I will never know why you called, which makes it harder. Until I see you again, know that I love you and think of you everyday. You were the best mamaw I could have ever asked for.